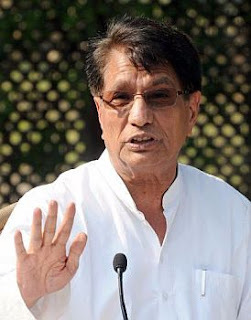 Chaudhary Ajit Singh is a prominent Jat of the TEVATIYA group leader from Western Uttar Pradesh, India. He is the founder and chief of the Rashtriya Lok Dal, a political party recognised in the Indian state of Uttar Pradesh. He was born on 12 February 1939 at village Bhadola in the Meerut District of Uttar Pradesh. He is the son of former prime minister of India and Jat leader Choudhary Charan Singh. He is married and has one son and two daughters. His son Jayant Chaudhary is a member of 15th Lok Sabha. Ajit Singh was educated as an engineer at Lucknow University, IIT Kharagpur and the Illinois Institute of Technology. He has a special interest in agriculture and modern technology. He worked in the U.S. computer industry for 17 years, returning to India in the late 1980s to revive the Lok Dal party founded by his father Charan Singh.